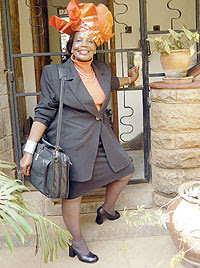 The flamboyant and bossy chairperson of the NGO council Orie Rogo Manduli is known for her African attire with big head gears. What many don’t know about her is that she became Miss Kenya at the age of 16, something that always makes her proud. 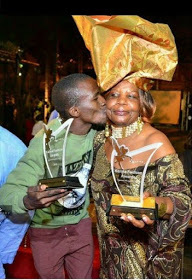 Below is the photo of a young dude kissing Orie Rogo Manduli that many have been talking about.